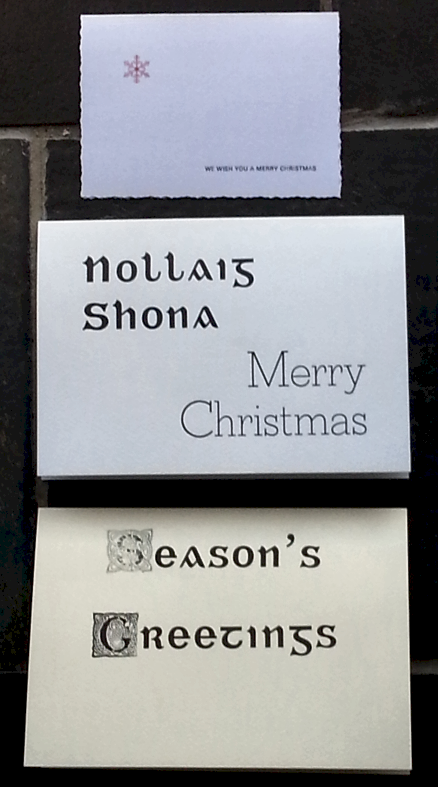 I’ve never used the letterheads that I made in 2008 (and, for one reason or another, it’s unlikely that I ever will), but Christmas cards come with a built-in reason to use them. The only problem is that you don’t get to make many at each workshop, so sorry if you’ve never got one of these. The workshop was ably lead by Jamie Murphy, and it was daring of him to let us use a second colour in the limited time available, though I do regret the passing of Conrad Devlin, who had lead every other letterpress workshop that I’ve done at the National Print Museum. Next PostNext Dots in a @name?